Kenny (Yong-soo) Son is an object designer-maker from South Korea, based in Sydney Australia, and currently living in Shanghai. With each object Kenny strives to transcend both the craft and design mediums themselves to create functional works that interact physically and emotionally with the user, thus "giving longevity to the object." 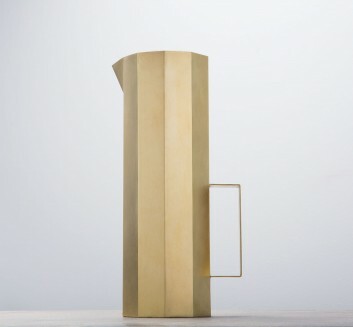 Working with copper, brass, tin and steel, Kenny produces a range of vessels and objects which are meant to add significance and value to everyday environments. Objects with life.